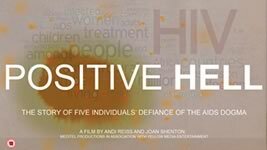 Shenton’s independent production company Meditel Productions has produced 8 network documentaries for Channel 4, Sky News and M-Net, South Africa on the AIDs debate. “AIDS – The Unheard Voices” won the Royal Television Society Award for Current Affairs. Her book “Positively False – Exposing the Myths Around HIV and AIDS”, published in 1998, is being reprinted and will be released in September 2014 as a 15th Anniversary edition with updates from 21 leading dissident scientists and journalists. In early 2013 I was approached by Dr Manuel Garrido, a Spanish doctor living in Galicia, who runs a dissident website called “Overcoming AIDS” or “Superando el Sida” http://superandoelsida.ning.com. It has 2,600 members from 15 Spanish speaking countries. Dr Garrido and his group were shocked and deeply moved by the situation surrounding Baby Rico Martinez Nagel in the United States who was taken away from his parents and forced to take AZT and other antiviral drugs. He described it as a “a public health politics of genocide”. Dr Garrido’s website had brought many people together in Northern Spain who had lived with an HIV antibody positive diagnosis for 27 years and more. He suggested drawing up a petition signed by a number of these “long term survivors” (“non-progressors” or “ elite controllers” as the AIDS orthodoxy would have it) and sending it to President Obama, the Human Rights commission, the United Nations and the World Health Organisation. He also said the petition should go to the Attorney Generals of many different countries around the world. I offered my support and began to learn more about Dr Garrido and his group. He himself had been diagnosed positive for 27 years and he knew of eight or nine others in his vicinity who were in the same position. The theory is that when Franco’s regime came to an end, a wave of illegal drugs entered Northern Spain. They were cheap and easily accessible and many very young people became addicted to intravenous drugs and other recreational drugs. They were then tested at drug rehab units and tested HIV positive (remember Peter Duesberg on how IV drug users are bound to test positive, not because of the needles but because of what goes through the needles). At that time in the eighties AZT was not easily available in Spain so these young addicted teenagers escaped the deadly effects of AZT and were sent to rehab clinics often run by the Catholic church. “Proyecto Hombre” was one of them which had a high success rate. Once “clean” these young people (some of whom we have featured in our documentary) just got on with their lives. I asked Dr Garrido if we could film him and other members of his group who had lived on for nearly three decades with the deadly diagnosis. He agreed. I then approached Andi Reiss, the co-producer of our previous feature documentary “Positively False – Birth of a heresy” to direct the documentary and we were fortunate enough to be given some funding to film for a week in Santiago de Compostela. The result is a half hour documentary called “Positive Hell” which is almost completed and will be sent round the film festival circuit. My interest in documentary stems from the idea of being able to tell stories that may have been hidden from the public for far too long. Positive Hell is by no means a systematic dissection of the HIV/AIDS machine, but more a defining dialogue between ordinary people. Throughout the years, they have lived in fear and within a stereotype, yet inspired by their instincts and the courage and articulate arguments of their network, they are amongst a number of growing voices internationally challenging the science. Their analysis suggests the existence of an industry bias that cannot be explained by standard assessment, and therefore, unless we develop a well-grounded understanding of the true nature of personal opinion, we will almost always end up adopting distorted views. In a postmodern belief system, which looks ironically like a doctrine, we must strive to appreciate that all opinions should have the chance to be heard.